Manage your establishment with ICG global solutions. Scalable and adapted to each business type and size. 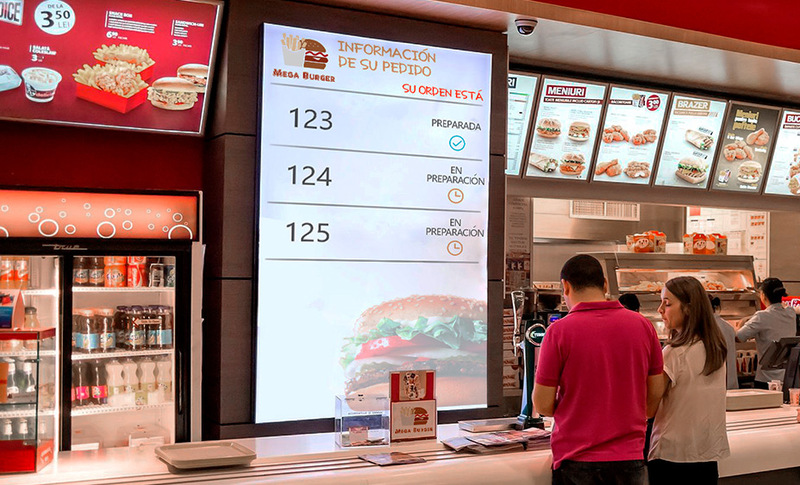 Icg products and devices cover Fast Food requirements and offer an integrated solution that improves efficiency, optimizes resources and increases the benefits of the establishments. 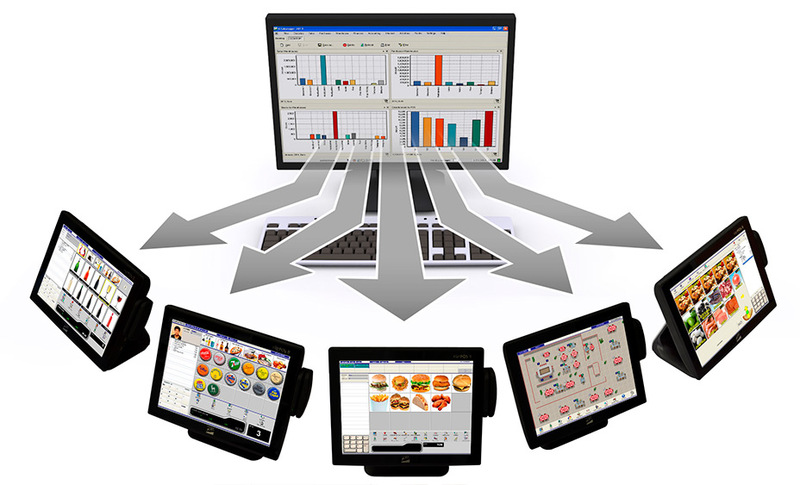 Control the staff presence with fingerprint and audit all transactions by user, help employee to register the sale order proposing modifiers (extra cheese, no onion, etc ...) formats (large, medium, small) customized by each product. Collect sales quickly in cash, credit card or voucher. With the FrontFood software you may create your offers and combos combining items from different sections and automatically increase the price of the combo with modifiers and sides when selling. 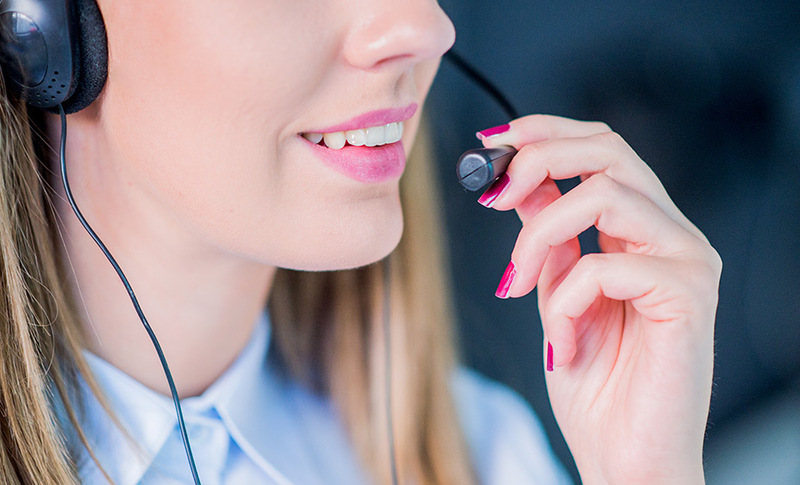 Recieve quickly purchase orders in the Call Center through the customer's call identification. 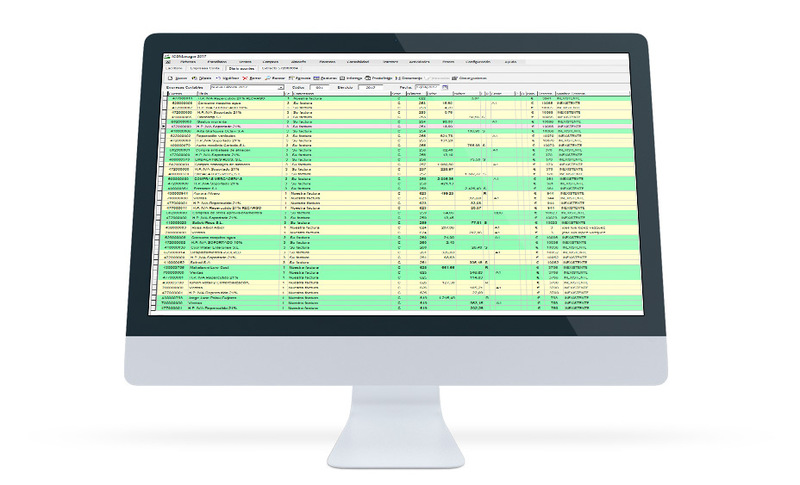 FrontRest allows you to save multiple shipping addresses by customer as well as define distribution areas. 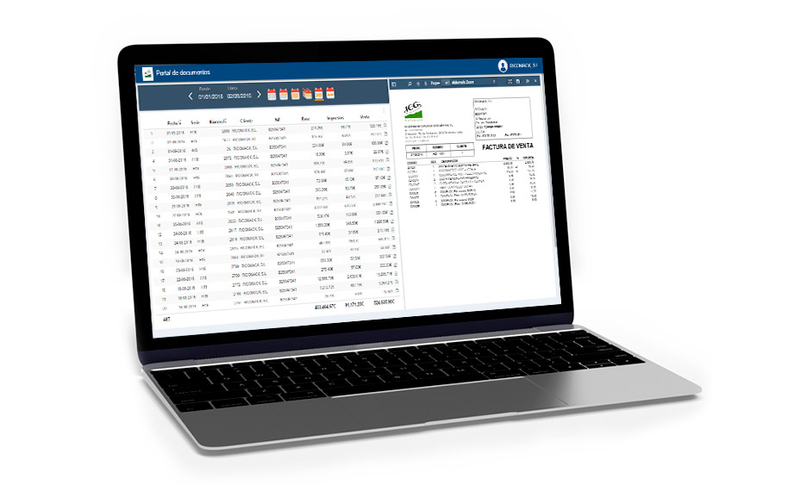 Offer your customers sales services such as delivey and take away with the online order module. Clients may access the establishment's menu, place the order, select if they want to pick it up or receive it at home and pay in credit card from the smartphone. Assign orders to the drivers for its distribution and track them with the different order status (elaborated, in delivery, delivered). Manage cash change delivered to the drivers and the payment settlements at the end of the shift. 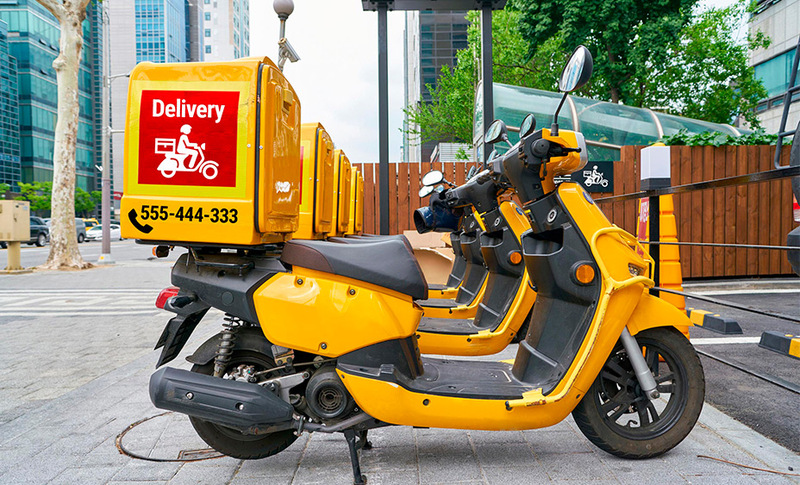 Provide fast and flexible service to customers who place their order from the vehicle establishing a quick communication with kitchen minimizing waiting times. 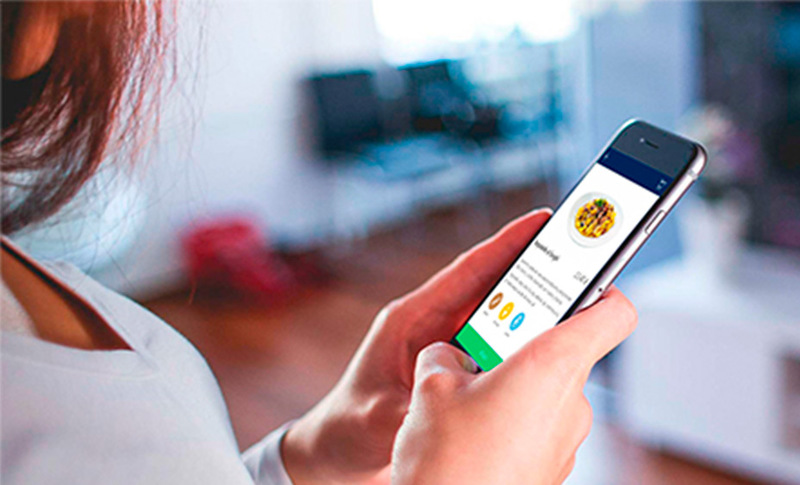 Increase the number of orders to take away or dine-in reducing queues and waiting times. Offer your customers a fast service with the online order module. 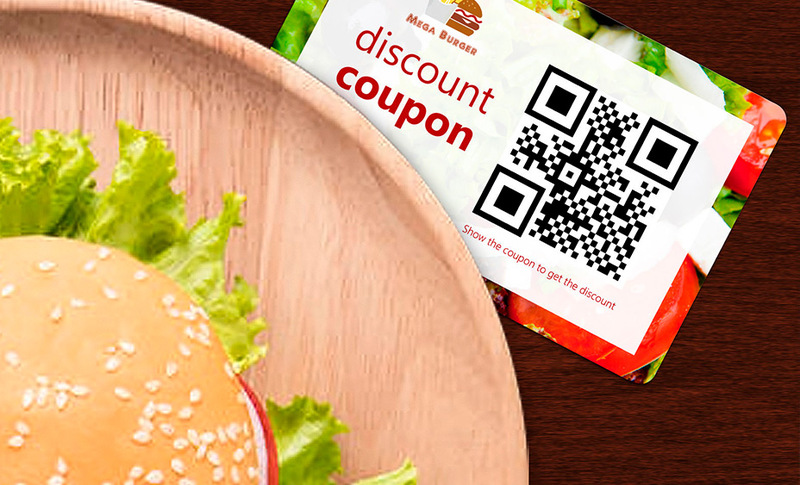 Customers may access your menu, place the order and pay from the smartphone simply scanning the QR code of your restaurant. Calculate consumptions of the elaborated dishes, formats, modifiers and items rotation by day of the week to calculate the sale forecasts. Instantly know the replacement needs. Generate and send automatically purchase orders to your suppliers by email. 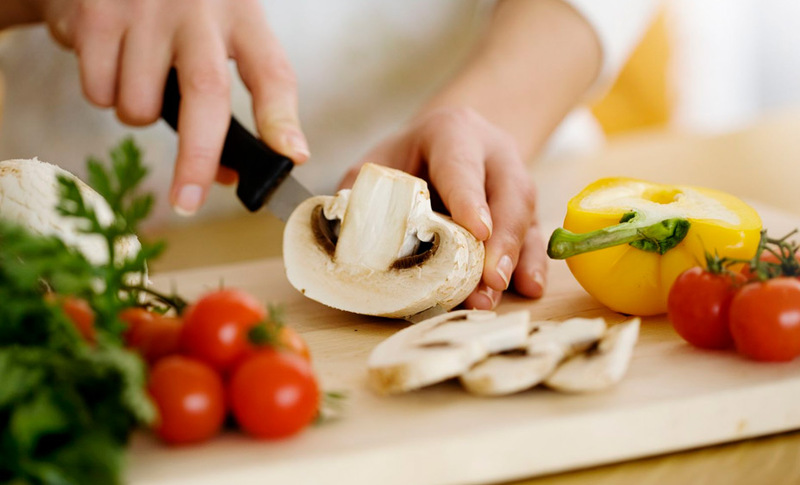 Define each dish composition to manage costs and control the stock of raw materials. Define the sale price of each item according to the production cost. 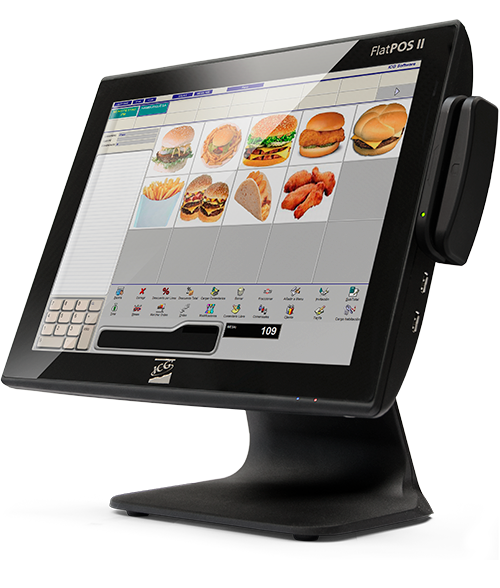 With the unattended Point of Sale the customers may place and pay the order autonomously in their own language. Show offers and combos with information and photos of the dishes, ingredients and allergens. Reduce queues and waiting times. It generates more sales turnover and better staff distribution at peak hours and increases the average sales of the business by more than 15%. 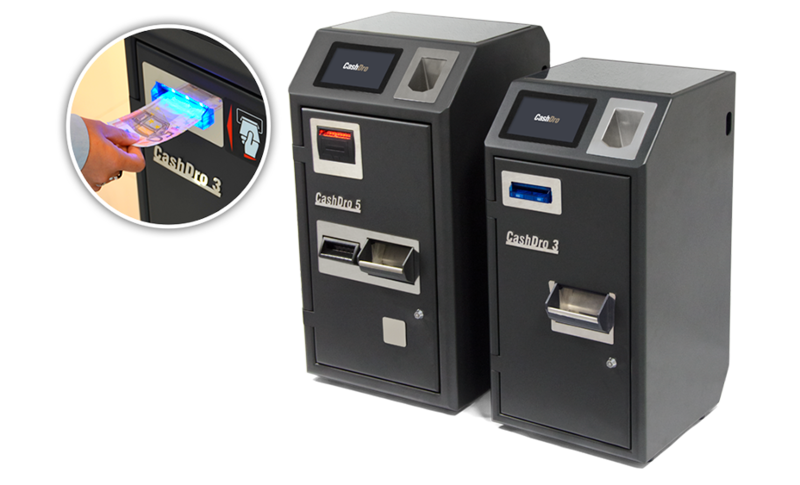 Choose the model that fits best your business: card payment, card payment and cash. 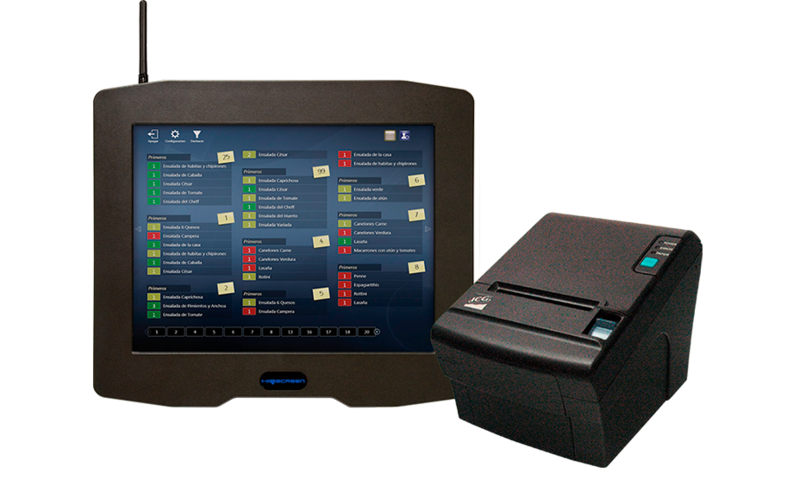 Speed up your customer service with HioScreen kitchen screens to display all dishes to be prepared and served as well as the time lapsed from the request. Thanks to the different ways of visualizing orders you can manage the status of the dish with a screen and organize the elaboration of the dishes in each area with a situation screen (cold dishes, grill ...). 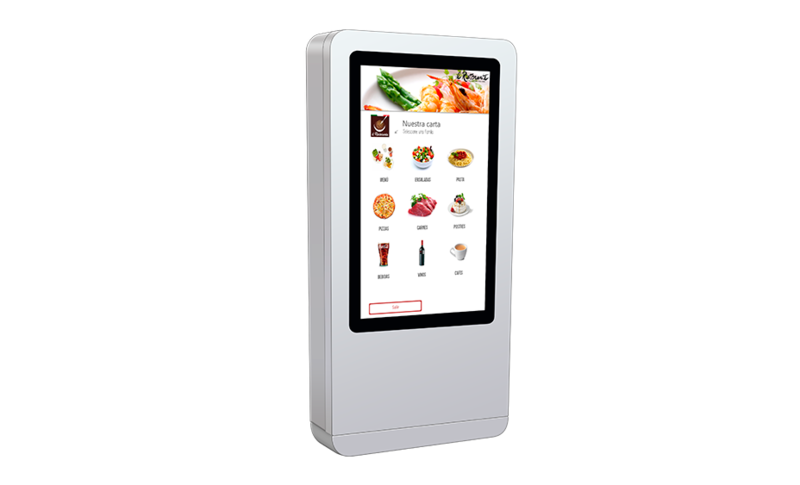 Display your menu with the eRest multi-language interactive e-menu. 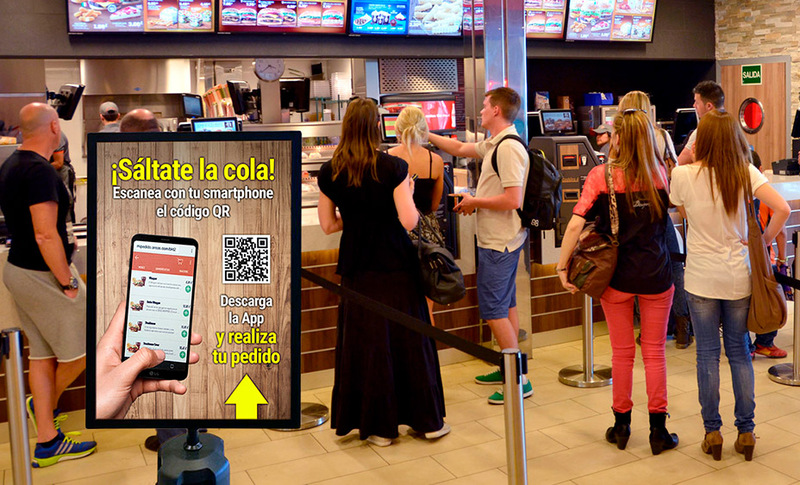 Reach new customers displaying the menu in different languages with photos and descriptions of the dishes, ingredient information, allergens, calories and sale prices. 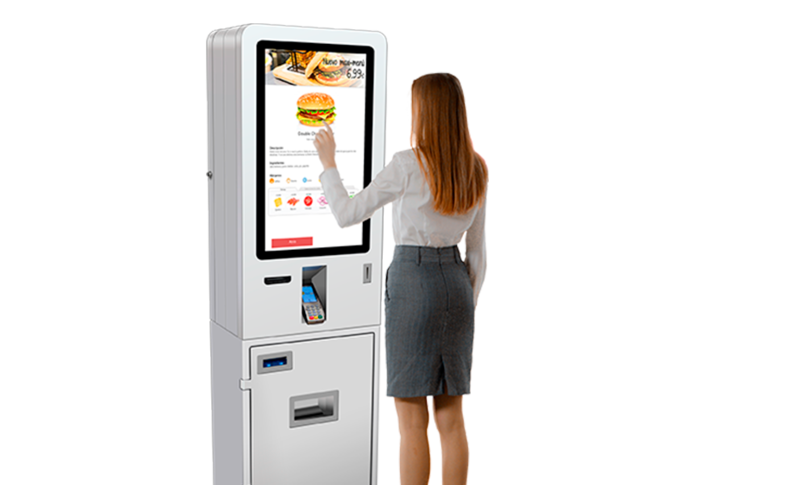 Call Screen works through a screen placed in a strategic place of the fast food establishment where the customer may see easly the status of the order (in preparation, prepared) thus avoiding queues and crowds in the collection area. Navigate through your business information from any place and device with a single click. 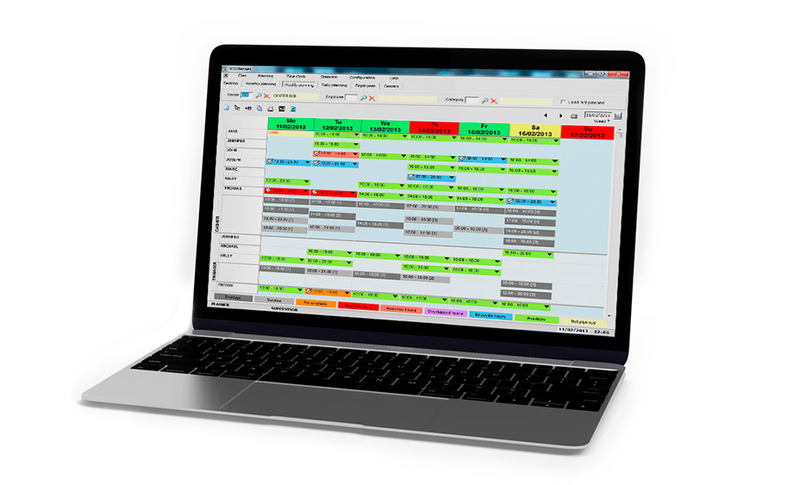 Through KPI, tables, graphics, and cubes you may compile, analyse and transform the information necessary for decisions making in real time. Connected to ICGManager, FrontRest, FrontRetail or FrontHOtel databases the information is shown fast and without delay. Available in desktop format and also native app for Android and iOS. 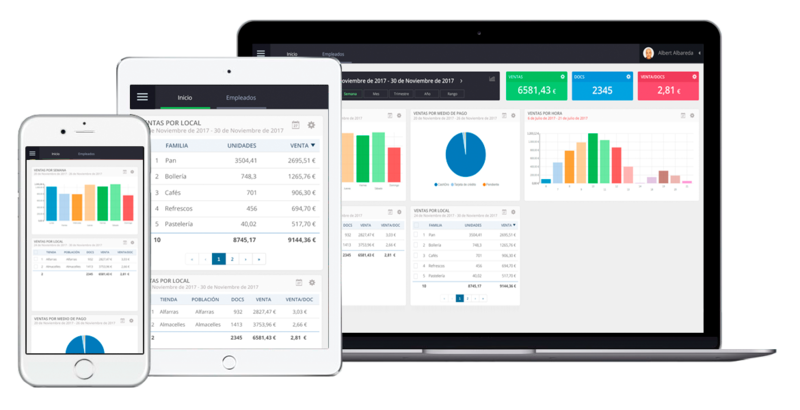 Manage hospitality establishments both own and franchised with efficiency and immediate access to all company information on real time. Grupo Abades is a solid company with more than 25 years of experience in hospitality and tourism sectors. Aramón is the first business group of ski and mountain tourism. Represents the largest ski area in Spain. Areas is an international brand of Elior Group and the world number 3 in the field of hospitality in the travel sector. Manages more than 2.200 establishments. Basque Culinary Center is a pioneer academic institution worldwide. Its aim is higher education, research, innovation and gastronomy promotion. 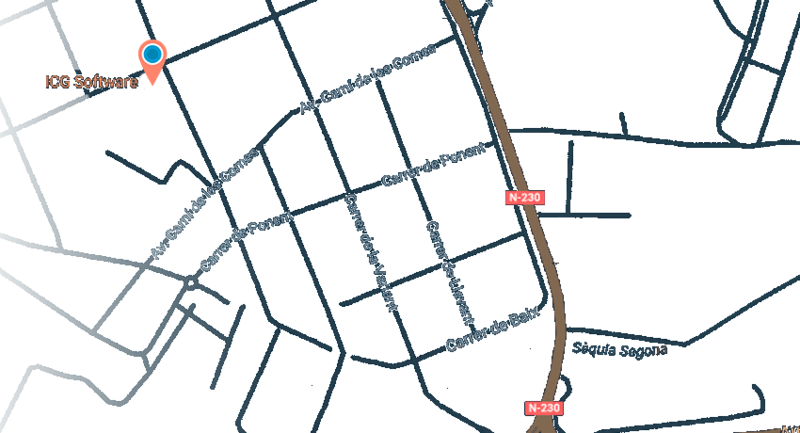 Located in the Lleida Pyrenees with the highest levels of the Pyrenees (2.751m maximum and 2.020m minimum) and a privileged situation facing the north. 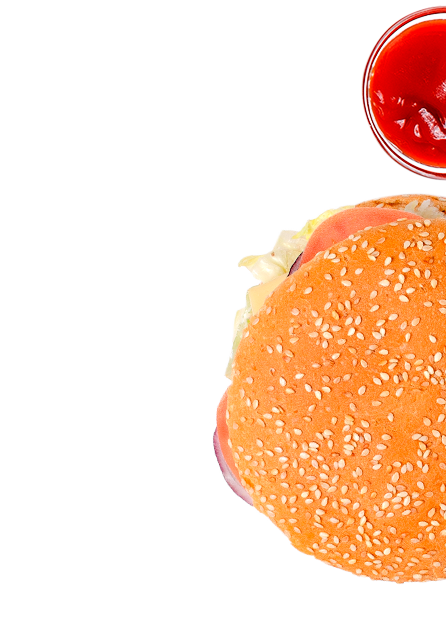 Burger King is a high level chain of American fast food establishments specialized mainly in the elaboration of hamburgers. Fira Barcelona is the trade fair institution of Barcelona and one of the most important in Europe. Each year organizes and hosts more than 120 events gathering 30.000 companies. 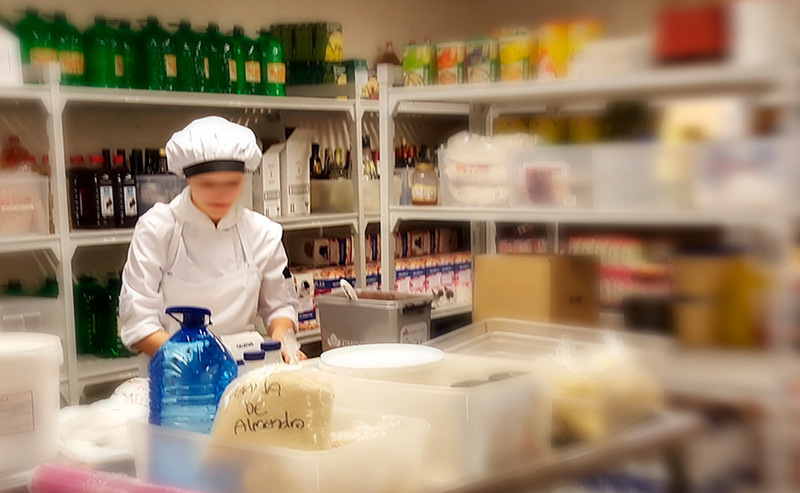 Integrate, Taberna del volapié, coffee shops-bakeries Santagloria, artisan ovens L´obrador, the restaurants al taglio, Papizza and Másqmenos. Viena is a chain of fast food restaurants. It was founded in 1969 and currently has more than forty establishments.